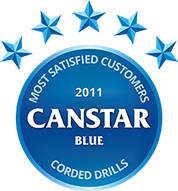 Compare corded drills using our customer satisfaction ratings comparison. Makita has the most satisfied customers when it comes to both corded (electric) and cordless (battery) drills. They received a five-star rating for overall satisfaction. Makita has the most satisfied customers when it comes to both corded (electric) and cordless (battery) drills, according to our recent survey. The Japanese company has won overall satisfaction, warranty, noise, reliability, performance and weight in the corded category. Ozito received five stars for price, and Bosch was awarded five stars for accessories. When it comes to corded drills, many respondents have mentioned the length of the cord as a problem, together with the tendency of the cord to get in the way. Weight is also an issue, with many people – particularly women – finding it difficult to operate a drill for any length of time.This may be one of the reasons why men are generally more satisfied with their corded drills than women. Other areas of concern were the noise of the drill, and problems with the chuck slipping, wearing away and breaking. Makita received five stars, followed by Bosch and Ryobi on four stars, and Ozito on three stars. Ozito received five stars in this category, followed by Makita on four stars and Ryobi and Bosch on three stars. Makita customers are the most satisfied with the warranties on their corded drills, followed by Ozito and Bosch on four stars, and Ryobi on three stars. Respondents who bought Makita corded drills were the most satisfied with the reliability of their drills, followed by Bosch and Ryobi on four stars, and Ozito on three stars. Bosch customers were the most satisfied with the accessories they received with their drills, followed by Makita and Ryobi on four stars, and Ozito on three stars. Bosch and Makita customers are the most satisfied with the performance of their drills, followed by Ryobi on four stars and Ozito on three stars. Makita edged ahead of Bosch and Ryobi who received four stars, and Ozito who received three stars. Makita customers are the most satisfied with the noise produced by their drills, followed by Bosch and Ryobi on four stars, and Ozito on three stars. 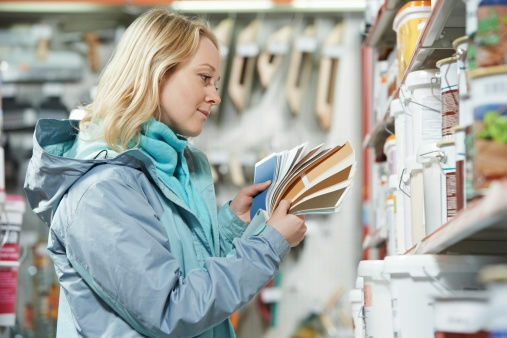 Canstar Blue commissions Colmar Brunton to regularly survey 2,500 Australian consumers across a range of categories to measure and track customer satisfaction. The outcomes reported are the results from customers within the survey group who have purchased a corded power drill in the last two years – in this case, 235 people.